Russia’s Ministry of Emergency Relief (EMERCOM) has ordered six examples of the Ilyushin Il-76TD-90A freighter, a civil version of Il-76MD-90A military transport which is assembled at the Ulyanovsk-based Aviastar-SP enterprise. The aircraft are to be delivered in 2016-2022. The agency will use the freighters to carry humanitarian supplies and as medical evacuation transports, as well as for other emergency response missions around the world. 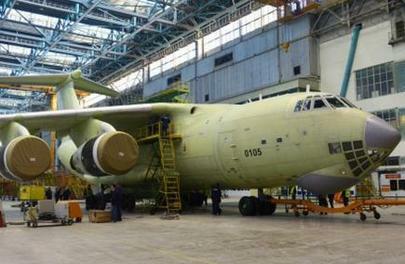 The ministry also contracted Aviastar’s MRO subsidiary Aviaservis to provide maintenance and modernization services for the six Il-76s it currently operates. In a separate development, EMERCOM is looking to procure Tupolev Tu-204 airliners, which are also assembled at Aviastar-SP. These aircraft are capable of non-stop flights across Russia. The OEM is preparing an offer for the ministry, Puchkov said. The ministry expects to take delivery of Sukhoi Superjet 100 (SSJ 100) aircraft in December 2015. EMERCOM’s fixed-wing fleet currently includes six Beriev Be-200 amphibians and two Antonov An-148-100EM regional jets with combined medevac/VIP cabins.